The marginal tax rate for individuals has been reduced by two per cent from 11% to 9% on the lowest tax band (monthly income from TZS 170,000 to TZS 360,000). The change will result in a maximum tax saving of TZS 3,800 per month for an individual. Skills and Development Levy (SDL) has been reduced from 5% to 4.5%. 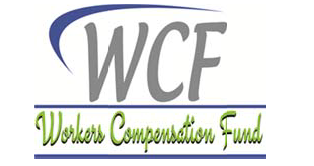 Employers in Tanzania are statutorily required to contribute to Workers Compensation Fund on monthly basis before the end of the following month. For a period of one year from 1st July 2015 to 30th June 2016, monthly contribution shall be 1% of employer's monthly wage bill for employers in private sector or 0.5% of employer's monthly wage bill for employers in public sector. These contributions should not be deducted from the gross salaries of the employees. Employers should remit contribution amount to the Fund through one of the below two bank accounts and submit to the Fund the form - WCP-1 with attachment to support the remittances. You may download the form and the attachment here. The marginal tax rate for individuals has been reduced by 1% from 12% to 11%. This change will result in a maximum tax savings of TZS 1,900 per month for an individual. The marginal tax rate for individuals has been reduced by 1% from 13% to 12%. This change will result in a maximum tax savings of TZS 1,900 per month for an individual. they need to like you..
TanzaKnight software can easily be integrated with any bio metric device to capture time and attendance data. Below are some of the devices we have integrated with our HR/Payroll software at many clients.